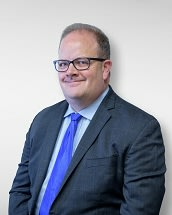 Matt Gaffron is an associate attorney at Coane and Associates, PLLC. He received a Bachelor’s degree in Journalism from Saint Mary’s University of Minnesota, and a Juris Doctorate degree from the University of Houston Law Center. Prior to law school, he worked as an immigration and litigation paralegal. While in law school he served as the Membership Director for the Student Division of the State Bar of Texas and participated in the Competitive Negotiation team. Mr. Gaffron is licensed to practice in the state of Texas. In his spare time he enjoys writing, film study, and spending time with his wife and two daughters.